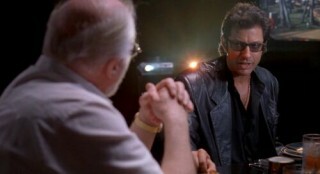 While Claire and Owen return from Jurassic World, it is Dr. Ian Malcolm’s return in a small role that heralds in some wonderful subtext about the controversy and conversations of bioengineering and genetic modification that takes me, for one, back to the original film and the conversation over Chilean Sea Bass of “Could vs. Should.” A conversation Malcolm was very much a part of. And while that subtext can easily be lost on some viewers, it is only necessary to grasp it for a full appreciation of all the through lines that appear in this film from every prior incarnation of the Jurassic Park series. I’m not implying that anyone who skipped The Lost World or Jurassic Park III will be lost, but some of the throughlines I am dancing around to not spoil the film are bits and pieces of those other films, especially The Lost World. To that end, anyone interested in getting the full effect of Jurassic World: Fallen Kingdom would be wise to go back and acquaint themselves with Jurassic Park, The Lost World, and Jurassic World. Jurassic Park III seems to be the film left out in the cold here, though I still maintain it is an enjoyable film. 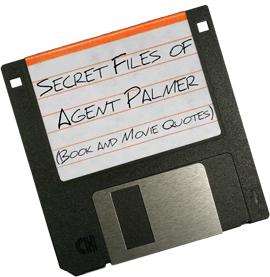 It is also worth noting that a lot of the subtext I was picking up comes from having read the books. But again, that is still not a requirement for an enjoyable movie experience, it will just add to the experience. One more thing to take into consideration is to check out the made-for-the-movie fictional Dinosaur Protection Group website. This fictional advocacy group is “dedicated to establishing and protecting the rights of all living dinosaurs,” and the website contains some reports that are amazing in their fictional accuracy. A History of Dino-Ethical Misconduct, The Rise and Fall of Masrani Global and many more pieces that are a wonderful addition to the world of the Jurassic Park/World series. This site feels just like a living real advocacy group site, full of researched stories and opinion pieces. Sure you can “Adopt A Dino” but there’s information here, wonderful backstory which cannot be included in an action-packed two-hour and eight-minute summer blockbuster without adding a lot of dialog that most movie-goers would not be as interested in, as say me. But for those of you like me, the site exists and it adds to the Jurassic series content and backstory as a whole, that equals at least another film or two in the series as far as depth and world building. 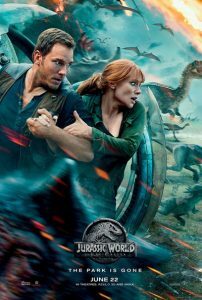 You don’t need to “dig in” to all that backstory to enjoy Jurassic World: Fallen Kingdom, but it is there if you want to explore the larger sandbox that the film resides in, and I think it’s worth the dive. At the very least, you could say that you “Adopted” a dinosaur, which in itself is just a marketing ploy. But still, as marketing ploys go, it is a fun one. So, Adopt your dinosaur, and go see Jurassic World: Fallen Kingdom. And if you have any further questions, I’m sure the Dinosaur Protection Group’s site would have a few of the answers that you are looking for.